Obtaining a Grimsby or Hamilton mortgage requires you have sufficient income and a good credit score. As a first-time homebuyer, you may be unfamiliar with the importance of a having good credit. Well, here at Canadian Mortgage Authority, our team of experts has listed the main reasons your credit score could affect your mortgage. A credit score is determined by the financial information that is sent to credit bureaus by businesses that lend you money, through loans, lines of credit, or credit cards. This includes banks, stores, credit unions, and other financial institutions. The credit bureau then determines what kind of financial standing you are in, and will assign you a number or credit score, between 300 and 900. The higher your number, the more financially responsible you appear. There are two credit bureaus in Canada that create your credit score: Equifax Canada, and TransUnion. Equifax is the most widely used, however it is a good practice to periodically check both of them. If your credit score is at least 700 points, then you are in good standing, and manage your finances well. Your Grimsby mortgage broker should feel very confident in getting you the best deal possible if your score is 700 points or higher because you have proven to be of minimal credit risk. The lower your score, the more likely a lender will either decline your application or charge you higher interest rate on your mortgage. This includes any defaults on payments or filing of bankruptcy. The ratio of the balance on your credit card and your full credit limit. How long your accounts have been opened for. How often you apply for a new credit. Such as credit card, car loan, student loan, etc. Credit inquires have a small negative affect on your credit score, with mortgage inquiries have the least affect, and inquires from finance companies and credit card grantors the greatest. 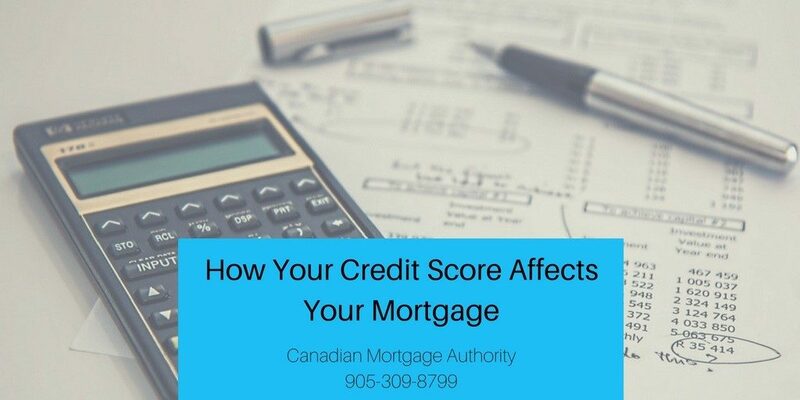 If you are in the market for a Hamilton or Grimsby mortgage, and would like to know what affect your credit score will have on your mortgage and steps you can take today to improve your score if necessary, then call the Canadian Mortgage Authority office today. We would love to work with you and go over your finances to decide which loan option is best for you. So don’t wait, call us today at 905-309-8799.